West coast of Baranof Island on Sitka Sound; approximately a 20-minute flight from Juneau, 1 hour 20 minutes from Anchorage and 1 hour 50 minutes from Seattle. 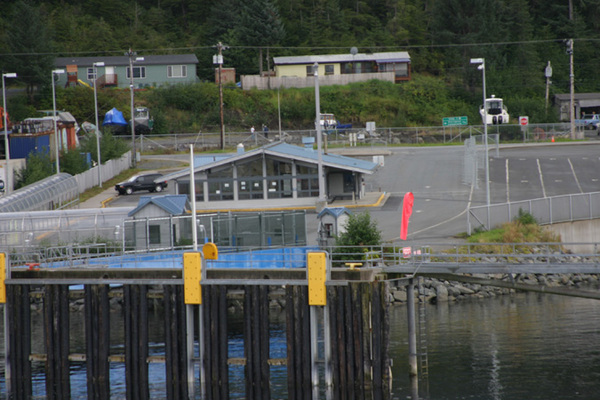 Sitka is also a major stop on the Alaska Marine Highway. Population: 8,558. Visitor Information: Sitka Convention and Visitors Bureau, PO Box 1226; Phone: (907) 747-5940; Email: scvb@sitka.org; Website: www.sitka.org. 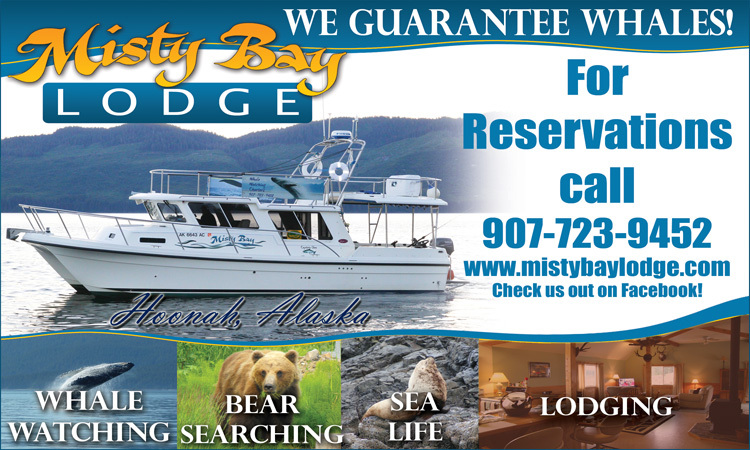 Sitka Chamber of Commerce, PO Box 638; Phone: (907) 747-8604. Possessing a vivid history and magnificent setting, Sitka may be Alaska’s most beautiful and historically interesting city, stretching along the coast of Southeast Alaska’s Baranof Island. Similar in shape and size to Mt. Fuji, the magnificent volcano Mt. Edgecombe dominates the horizon. Jaunty fishing boats crowd the harbor. The elegant onion dome of St. Michael’s Cathedral is a striking reminder of the long ago era when Russia ruled Alaska. Totem poles standing in the forest are testimony to a rich Tlingit heritage. Although Sitka is inaccessible by land, there are several scenic drives originating in the town. Sitka’s name comes from the Tlingit word “Sheetka” meaning on the outside of Shee, the Tlingit name for Baranof Island, which in turn was named for Aleksandr Baranov. Today Sitka is a combination of Tlingit, Russian and European culture and outstanding evidence of the past remains in local architecture, museum collections and historical sites. A wide variety of accommodations, including attractive hotels, comfortable B&Bs, vacation rentals and a 23-bed hostel are waiting to serve visitors. Restaurants and hotels are conveniently located downtown and out the 14-mile road system. Sea Mountain Golf Course and Restaurant, located four miles north of Sitka on Granite Creek Road, provides an unforgettable 9 holes in a beautiful setting. 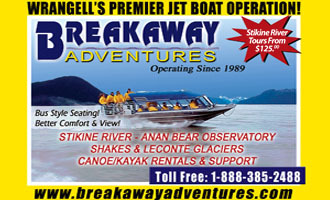 Sightseeing excursions provide breathtaking views of the city, seacoast and surrounding islands, snowcapped mountains and a variety of wildlife. A guided sightseeing tour highlighting major points of interest and historical facts is one of the best ways to experience Sitka, particularly if time is limited. Discover the Tlingit way of life through narrative from the Alaskan native perspective about historic and contemporary Sitka, visit multi-cultural and historical landmarks and enjoy an educational experience of Tlingit language, song and dance. Visitors can leisurely walk along Crescent Harbor via the new SeaWalk path from the Centennial Building into Sitka National Historical Park and view many of the town’s attractions. •The Alaska Raptor Center: Established in 1980 in the backyard of two concerned Sitkans with one injured bald eagle, in 1991 the Center moved to its present location on 17 acres bordered by the Indian River. It currently offers medical treatment to around 200 injured bald eagles and other birds each year. Those injured too severely to be released into the wild are used in educational programs or bred in captivity to help repopulate the species. Specializing in educational programs, the Alaska Raptor Center offers many programs on site, as well as taking flight across the country to classrooms from Florida to New York. The permanent Raptors-in-Residence include bald and golden eagles, hawks, falcons and owls. Kids can be part of the Raptor Center Passport Program and go on a two-hour tour through the raptor hospital, stopping at educational stations where a passport will be stamped. Visit the clinic window and learn how the veterinary staff treat the injured patients; touch eagle and owl feathers and feel the difference between bird and mammal bones at the artifact table; walk through the temperate rain forest and learn about medicinal plants and trees and the vegetation that supports most of Alaska’s wildlife. The Alaska Raptor Center is open for tours May-September. Please call for operating hours October-April: (800) 643-9425. Located on Sawmill Creek Road between Indian River Road and Jarvis Street. Patrons can also access the Center from Sitka National Historical Park. •Sheldon Jackson Museum: One of the oldest native culture collections in Alaska, collected by Dr. Sheldon Jackson, General Agent of Education, between 1880-1900. Alaska’s oldest concrete building, it was erected in 1895, overlooking Crescent Harbor on Lincoln Street. Open daily in summer, Tues-Sat in winter. Call (907) 747-8981. •Castle Hill (Baranof Castle Site): Originally the site of the early stronghold of the Kiksadi clan, later a succession of Russian buildings were built here, the last one known as “Baranof’s Castle” erected in 1837. On October 18, 1867 it was the site of the transfer of Alaska to the United States. Baranof’s Castle burned in 1894. •Sheet’ka Kwaan Naa Kahidi Native Dancers: Tlingit dancers perform in full regalia in connection with Sitka Tribal Tours during the summer at the Sheet’ka Kwaan Naa Kahidi Community House, a modern rendition of the Tlingit Clan house of long ago. The two large panels at the entrance representing the Eagle and Raven Moieties invite all to come inside to hear the songs of tradition handed down by generations of a living culture in a half hour performance. Listen to the steady beat of the drums while the Tlingit dancers enhance their stories with whirling robes, flashing beadwork and mesmerizing song. For information call (907) 747-7290. Located at 200 Katlian Street. •Harrigan Centennial Hall: Built in 1967 during Alaska’s Centennial celebration, the building is one of the finest in the state and offers a venue for conventions, civic activities and seasonal arts and craft fairs. The Visitor Center is also located here. A large Tlingit canoe made from a single log is displayed temporarily in the net shelter at Crescent Harbor. •Sitka Historical Society and Museum: Located in Harrigan Centennial Hall, this extensive historical collection provides a glimpse into the lives of Sitka’s earliest inhabitants, the legacy of WWII and how people made their living from the early days to the present and makes a good first stop, providing perspective on everything else the traveler will see on their visit. Pick up a free map of Sitka’s National Registered Landmarks as a guide to key attractions. An attractive gift shop offers a large collection of Tlingit, Russian and local handcrafted goods, many of them exclusives. The Diorama of New Archangel (Sitka) in 1867 is a must see. 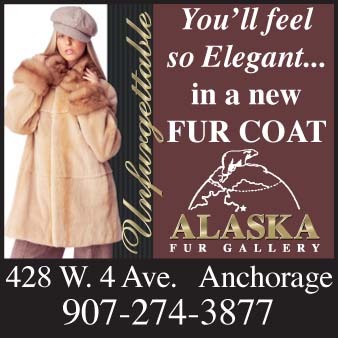 For information call (907) 747-6455. 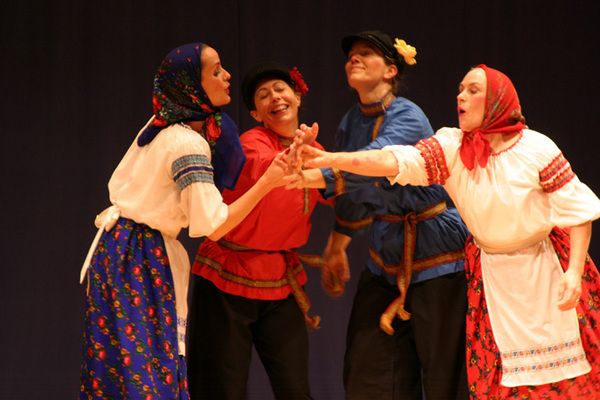 •The New Archangel Dancers: These extraordinary dancers perform authentic Russian folk and other ethnic dances in full costume at Harrigan Centennial Hall when cruise ships are in port; for schedule call (907) 747-5516. •Sitka Pioneer’s Home: Built in 1934 on the old Russian parade ground, this is a state home for elderly Alaskans. Handicrafts made by the residents are sold in the gift shop located on the first floor. Located at the intersection of Lincoln and Katlian Streets. •Whale Park: Located 4 miles south of downtown, the park provides the opportunity to view wildlife from a boardwalk, including humpback whales in the fall and spring. There are two picnic areas and viewing scopes. The city bus services the park. •St. Michael’s Cathedral: Housing an important collection of Russian Orthodox art and church treasures, the Cathedral was built in 1844-48, but destroyed by fire in January 1966. Many of the icons and religious objects were salvaged and are in the rebuilt structure. For hours please call (907) 747-8120; open to the public with a $5 donation in the summer. •Japonski Island: WWII headquarters for military forces in Sitka. During the war, the island was connected by a man-made causeway to surrounding islands which served as a location for bunkers and gunning sites. Though the bunkers are not well preserved, they are accessible by boat. After a 1.5 mile walk across O’Connell Bridge, take the first right along the water’s edge. Large concrete causeway provides scenic view of Sitka’s skyline and mountains. 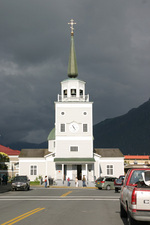 •Sitka Lutheran Church: This site of the first Lutheran church on the west coast of North America contains artifacts from the original 1843 Finnish Lutheran church. Located at 224 Lincoln Street. •ANB Hall: The Alaska Native Brotherhood Hall is a registered National Historic Landmark built on 1914 in the heart of the traditional Tlingit village. Located at 235 Katlian Street. •Russian Block House: Located behind the Pioneer’s Home, this is a replica of the block house that separated Russian and Tlingit sections of Sitka when the Tlingit moved back into the area after the 1804 battle. Steps lead up from the Sheet’ka Kwaan Naa Kahidi Community House or from Lincoln at Barracks or American Streets. •Totem Square: This park contains a Russian canon and three anchors recovered from the Sitka vicinity, probably lost by early British or American explorers. The totem displays the Russian heritage double-headed eagle. Located at Lincoln and Katlian Streets. •Building 29: This is one of the few log structures surviving from the Russian era, built in 1852. Located at 202 Lincoln Street. •St. Peter’s by the Sea Episcopal Church: In 1899 the first service was held in St. Peter’s, which continues to be used as a place of prayer. According to legend, Joseph of Arimathea’s staff took root and blossomed; St. Peter’s has the 3rd planting from this ‘Holy Thorn of Glastonbury.’ The “Sea House” is behind the church. Located at 611 Lincoln Street. •Princess Maksoutoff’s Grave: The wife of Alaska’s last Russian governor, Dimitri Maksoutoff, was buried in the Lutheran Cemetery behind the Pioneer’s Home. Walk up American or Barracks Streets to Seward, then follow sign to Princess Way. •The Mariner’s Wall: Located across from Pioneer Bar at ANB Harbor, there are 2000 inscriptions on this brick wall representing the rich maritime history of SE Alaska as a memorial to mariners. •Russian Bishop’s House: This is the oldest intact Russian building in Sitka, dating from 1842 when the Russian American Company used it as a residence for the Orthodox Church bishop. It has been restored to the 1850s historic period when it functioned as a school, chapel and residence. Located on Lincoln at Monastery Streets across from Crescent Harbor. •Fortress of the Bear: An education and rescue center for orphaned Southeast Alaskan bears established in 2007, featuring naturalized habitat and covered viewing areas. The bears’ ability to adapt sometimes brings them into conflict with humans and the means to deal with these bears has been limited. The center’s goal is to provide a better solution than simply shooting them. In order to accomplish this mission, Fortress of the Bear has created a wonderful landscaped habitat utilizing two abandoned clarifier tanks which are 14 and 17 feet high and 3/4 of an acre each, allowing for educational public viewing high above the tanks. Located at the end of Sawmill Creek Road, 2 miles past Whale Park, the Center is handicap accessible. Arriving as cubs when the sows died, two brown bear brothers and a group of three siblings captivated everyone’s interest. In winter 2013, three new orphaned black bear cubs were added and plans made for expanded habitat. Sitka lies at the heart of one of the finest sport fisheries in Alaska. With abundant fish of many species, the area attracts thousands of sport fishermen every year from all over the world. Sitka's charter-fishing fleet allows visitors an opportunity to experience some of Alaska's finest salmon and halibut fishing while surrounded by majestic snow-covered mountains, humpback whales, sea lions and eagles. Fly fishing charters are available on a limited basis. Fly fishing in Sitka is almost a year-around activity, from March through November. Herring return to Sitka Sound in March, along with the Dolly Varden who have wintered in the lakes, ready to feed voraciously on salmon fry making their way from fresh to saltwater. Steelhead return to their rivers in April and May and make up an outstanding fishery. Sitkoh Creek and Eva Creek are just a couple of the better steelhead runs in the Sitka area. Many rivers have smaller runs and provide numerous locations to fish for the steelies. Cutthroat and rainbows share the same waters as steelhead and can often be caught if the steelhead live up to their elusive reputation. High mountain lakes provide great fly fishing for rainbow, brook trout and grayling. Stay at a US Forest Service cabin or bring your own camping gear if you plan to stay for several days. Saltwater fly fishing for all five salmon species is a thrilling and increasingly popular experience, as strong runs of Pacific Salmon start in May and last through November, depending on species.